Sometimes, seeing the future requires a certain suspension of disbelief. In this case, a popular video game might provide important lessons about how to respond to a pandemic - and what might go wrong. If you haven't heard of (or played) World of Warcraft, consider that its more than 11.5 million paying subscribers outnumber the populations of Israel and Ireland - combined. World of Warcraft is a "massive multiplayer online role-playing game" and that's how this story of gamers and pandemic prediction begins. In WoW, thousands of real human beings log in and interact with one another, solving problems, fighting monsters, trading goods, teaming up in guilds - all in a very large, ongoing fantasy world. Each human player is represented in the game by a cartoon alter-ego, each with unique skills, abilities, and comparative power. I, for example, play a level 71 warlock of the Horde. My wife has a level 71 priest, which is what healers are called in the game. When we play together, I tend to fight the bad monsters and she heals me while doing so, performing as a sort of in-game M*A*S*H doctor. And this begins to show us how WoW simulates the real world. Player characters can get hurt or sick, and in-game doctors can heal the ill. 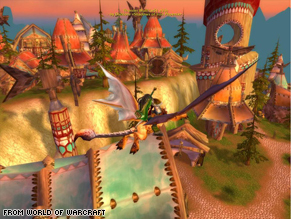 In 2005, an in-game pandemic hit the World of Warcraft. The disease was never meant to spread. WoW's programmers created a monster that made the players who attacked it sick. As designed, those players would infect other nearby players, weakening them, and making it harder to attack the monster. The intent was that only very high-level players would get infected, it would only stay in one very controlled region, and the damage to a given player would be relatively minor - more annoying than life-threatening. But it spread. The programmers never expected an infected player to leave the battle before it was over. They never expected infected players to return to the in-game cities. And they never expected the powerful players to infect their less powerful friends. And they certainly never expected those less powerful player characters to die off in the thousands. Of course, death in a virtual game is just an annoyance, but it was still disturbing to the real humans who played. Of more relevance to our concern about how pandemics spread and the challenges we face in fighting them, human behavior patterns were revealed. 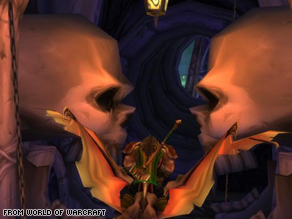 Dr. Nina H. Fefferman thinks WoW can teach us important lessons about fighting pandemics. And she ought to know: Dr. Fefferman has a Ph.D. in biology and a masters in math. And she is co-director of the Initiative for the Forecasting and Modeling of Infectious Diseases at New England Medical Center/Tufts University School of Medicine and a computer science professor at Rutgers. Governments, of course, are aware of the potential of pandemics and, over the years, have developed strategies for dealing with them. These response strategies are often tested and refined with computer simulations, in some cases simulating hundreds, thousands, and millions of people in a population. These simulations are at the pinnacle of modeling research and they're quite good. But each simulated person is just that - simulated. Scientists have attempted to instill in these simulated people expected behaviors and then watch to see how those behaviors play out. But large populations of real people are far less predictable than simulated people. You never know what an actual human is going to do when faced with crisis. In the 2005 WoW pandemic, for example, some player characters with healing abilities (controlled completely by real humans with real human emotions and responses) rushed in to help the sick players. Dr. Fefferman's 2007 study, published in the prestigious The Lancet Infectious Diseases medical journal, reports that while these healers prolonged the life of their virtual patients, the longer life of the patients kept them infectious for a longer time, thereby passing on the disease to more players. The study also reported that the healers themselves became infected, and they, too, passed on the disease to more players. "We're closing schools, discussing swine flu in every major news venue, and healthy people are flooding into emergency rooms because they have colds," she said, adding that the regular ol' flu we're all used to has, so far, caused more deaths than swine flu - and that's expected. "Since people are used to this, no one is upset about it, but if that had been 'swine flu', there would be riots in the streets." Of course, World of Warcraft - and games like it - aren't intended to be active participants in the battle against swine flu (or any immediate-term potential pandemic). But if researchers can somehow tap into virtual worlds populated by real people, they might be able to model human behavior in a pandemic with far greater accuracy and insight than was ever possible with computer models that merely simulate human behavior. And that might just save lives. Dr. Fefferman's final thought: "The bottom line is we know nothing yet, and when you know nothing is the worst time to panic. 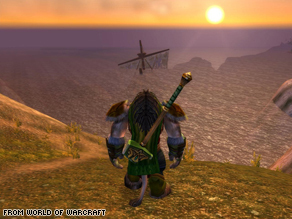 Find David Gewirtz's reviews of World of Warcraft here.